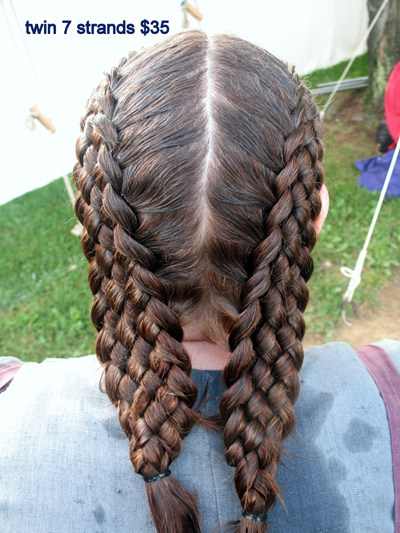 Braiding at Pennsic! enjoy the thrill of not dealing with a tangled mass of hair at war! 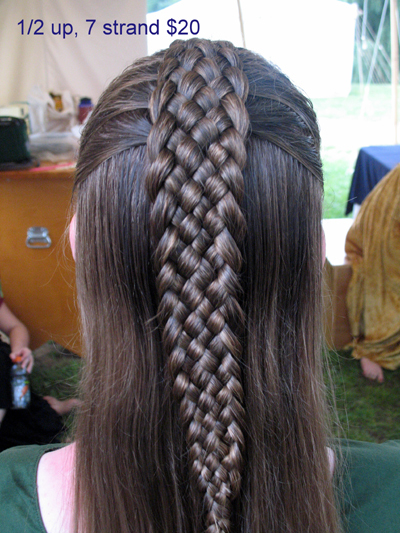 Braids are from 5-11 strands, and will stay in for 3-4 days depending on the style of braid, the length of your hair, and how much you spin on it in your sleep. 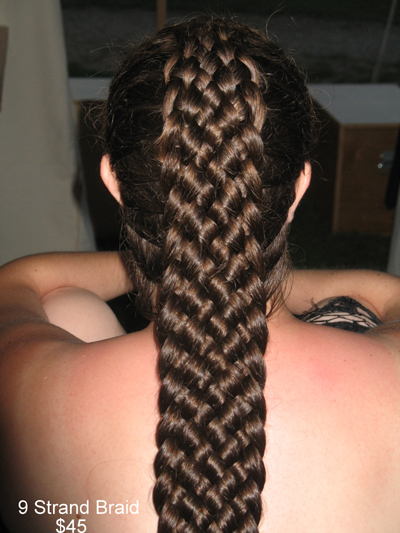 Prices start at $20 for a single 5 strand, and go to about $60 for a really elaborate braid. 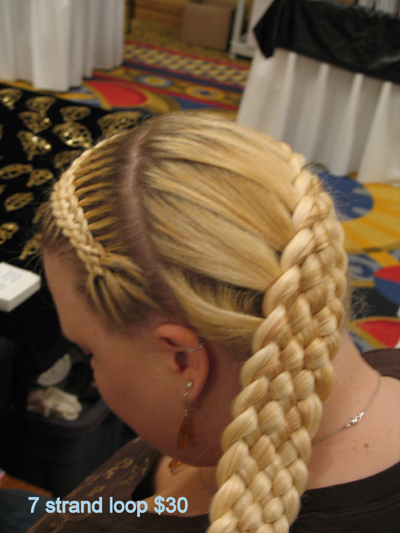 Most people get 5 or 7 strand braids in the $20-30 range. 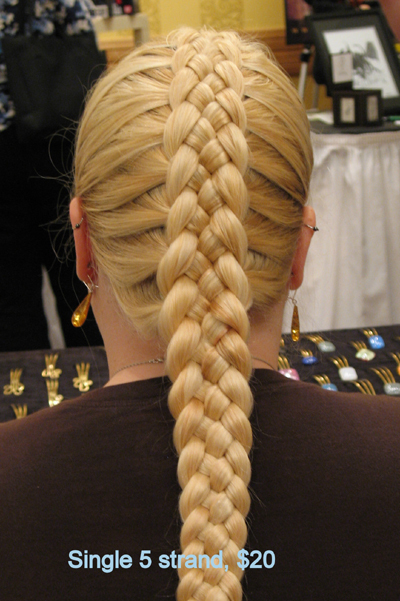 You really need a LOT of hair for a 9 or 11 strand braid.